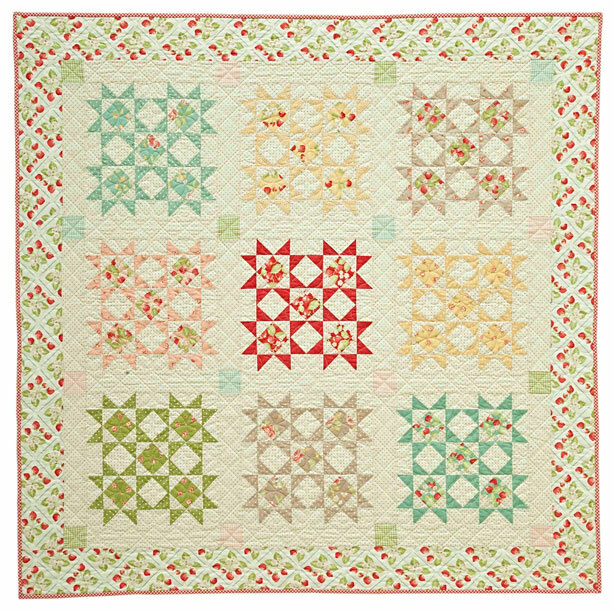 This pattern features a clever piecing technique, which creates the four stars in each block. With sashing that matches the block background, the images really pop. Crisp shapes and fresh colors make this quilt sparkle!